Your paint choice will make all the difference to your building and setting. All of our Garden Buildings will initially be treated with a light oak timber preservative (which you can see in this Timber Garage on the left), which protects against fungi, woodworm and will provide a degree of weatherproofing. However, you may choose to opt for one of our five additional paint systems. These offer very different finishes, and their suitability may vary based on what garden building you pick. However, what links them all is that they provide exceptional protection from the elements. We have recently expanded our range of exterior colours to include Farrow & Ball, alongside Valtti, Sikkens and our National Trust and Classic Shed paint ranges. We always advise our customers to choose a colour that suits the style of their garden and complements the plants. Our exterior colour range palette typically features nature-inspired, soft and neutral shades that are easy to live with. However, we also offer much much more vibrant tones to suit urban and coastal gardens. We will always endeavour to find your perfect colour, so bear this in mind if you are looking for something specific. We have collaborated with Farrow & Ball to bring a range of durable mid-sheen colours to our garden building range. Flexible and highly resistant to flaking, peeling and fading, as well as being water and fungal resistant, this range offers superior levels of protection. View our gallery of garden buildings featuring Farrow & Ball paint. Please note, that this is not available on our National Trust or Classic Shed range of buildings. This fully opaque Scandinavian coating system (shown in Slate in this Superior Shed on the left) will enhance any building, giving an extremely durable, low maintenance solid colour finish. A greatly-reduced re-decoration cycle and high quality finish makes the Valtti paint range truly worth the investment. Our Valtti paint range is inspired by the legacy of traditional colonial architecture. Colour choices include Ivory, Cream, Sandstone, Twine, Pebble, Saltwater, Sage, Verdigris, Sundrenched Blue, Lichen, Slate, Peony. View more examples of Valtti paint in our Gallery. Please note, that this is not available on our National Trust or Classic Shed range of buildings. Offering a translucent finish while allowing the grain to show through, this paint offers long lasting protection and a decreased re-decoration cycle. In trials carried out by TRADA (The Timber Research and Development Association), Sikkens was proven to be the best translucent wood stain. We offer a number of different shades including: Rosewood, Olive Green, Mahogany, Teak, Walnut and Black. View more buildings with Sikkens paint in our Gallery. 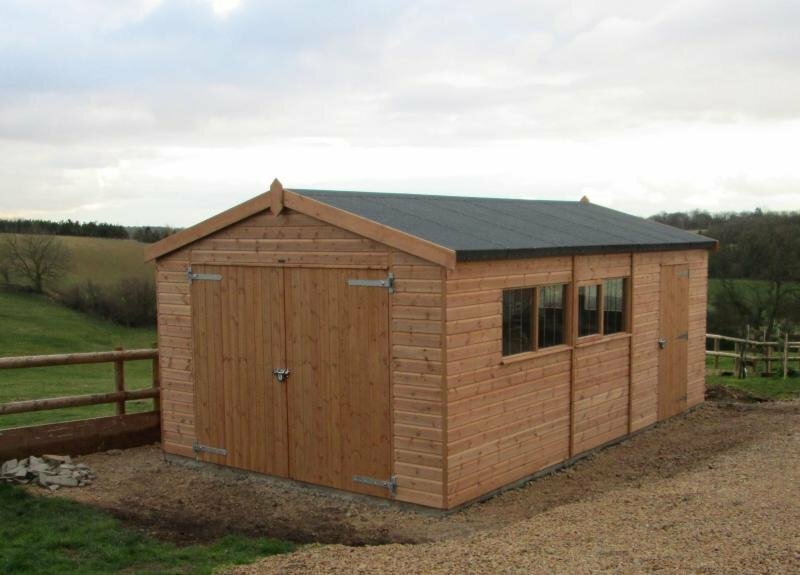 Please note, that this range is only available on our Superior Sheds or Timber Garage range of buildings. 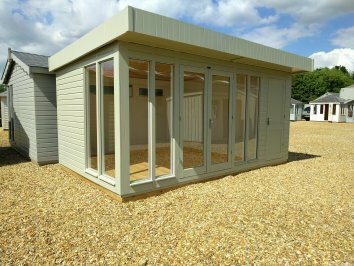 Exclusive to our National Trust range of Sheds and Summerhouses, the range of neutral colours has been selected from the National Trust paint range. View some of our buildings in National Trust colours in our gallery. Formulated especially for our Classic Sheds range, we offer three hard-wearing paint finishes designed to add a splash of colour while offering long lasting protection. View some of the buildings finished in our Classic Paint range. Our team of experts are on hand to advise you on picking the best exterior colour. We advise first-time buyers to visit one of our seven UK Show Centres, where they can see our design and paint options up close. Alternatively, should you prefer to talk to us directly, please Request a Callback, Contact Us or call us on 01760 444229 and one of our team will be more than happy to discuss any requirements you may have.